I was amused to hear on the news recently that some one is suing Punxsutawney Phil, the groundhog, for fraud because he mistakenly predicated an early spring! Although I am disappointed spring is not early this year, it is on its way. 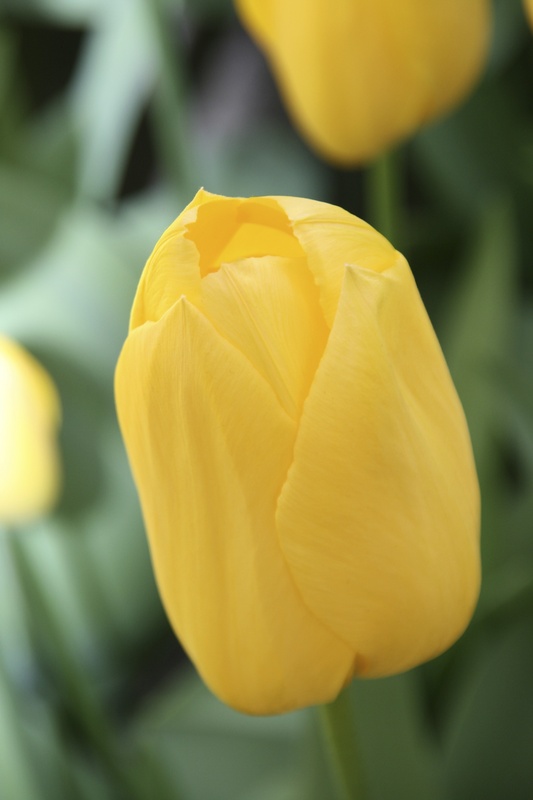 Here is an image of something to look forward to, a yellow tulip appropriately named Big Smile. What are you looking forward to in your spring garden? I’m looking forward to seeing the first blooms … lots of plants sprouting through the ground though. Thanks for your comment, crafty gardener. I too look forward to the first blooms.